Dear Applicants, Eastern Railway has released recruitment notification of 2907 ACT Apprentice Vacancies for Kolkata (West Bengal). Applicants who are waiting for Eastern Railway Recruitment 2018 can now fill application form here. Mode of Submit ER Railway Jobs Application form through online mode. Interested candidates can fill up application form for Eastern Railway Vacancy on or before the last date, that is 14.11.2018. Eastern Railway is inviting application form for Apprenticeship of 2907 Various ACT Apprentice Posts. Submission of application form for ER Railway Apprentice Vacancy has been started from 15 October 2018. Candidates must check all details about Eligibility Criteria before applying Eastern Railway Apprentice Application Form. To get more information about Eastern Railway Jobs then read the below article properly. Fresh Update as on 03.11.2018: Hello Friends, Eastern Railway Department has issued notification for 2907 Act Apprentice Vacancies. Candidates should collect eligibility criteria details form here. Participants may fill up an application form before 14 November 2018 for Eastern Railway Recruitment 2018. 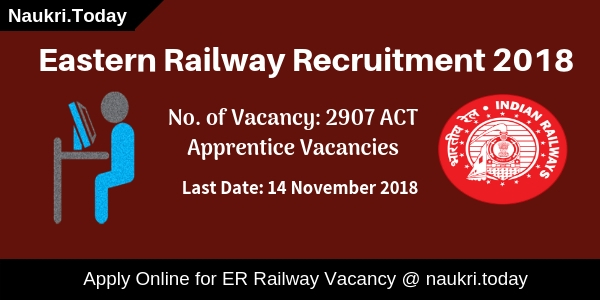 Fresh Update as on 30.10.2018: Eastern Railway Recruitment is available for 2907 Act Apprentice Vacancies. Candidates should check here eligibility criteria. 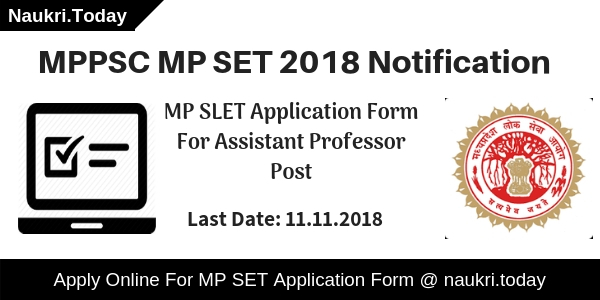 Applicants may fill up their application form before the last date 14 November 2018. Fresh Update as on 20.10.2018: Dear Applicants, Eastern Railway Recruitment is available for 2907 Vacancies. Candidates must fill up their application form before the last date. Here we gave you complete details regarding Eastern Railway Vacancy 2018. How To Fill Application Form For Eastern Railway Recruitment 2018? How Much Application Fee is Required For Filling Eastern Railway Vacancy 2017 ? How To Fill Application Form For Eastern Railway Recruitment 2017 – 18 ? Here, we are providing Division wise Vacancy Distribution of Eastern Railway Apprentice Jobs. candidates can also check official Eastern Railway Notification 2018 for more details. Those applicants who are going to fill an application form for Eastern Railway Recruitment 2018 should check post wise required Education & Age Criteria of Apprentice Vacancy from here. Here our team is defined full eligibility criteria required for Eastern Railway Vacancy 2018. Candidates must have passed 10th Class under 10+2 System with at least 50% marks from any recognized Board. Applicants must have done ITI Course in respective Subject from any authorized Institute for Eastern Railway Jobs 2018. Minimum age of the candidates for Eastern Railway Recruitment 2018 must be 15 years & Upper age should be 24 years as on 01.01.2019. Relaxation in age is applicable as per Department rules & regulation for reserved category candidates. General & OBC Category candidates should pay Rs. 100/- as an application fee for Eastern Railway Bharti 2018. The Department will exempt SC/ST/PWD/ Women Category candidates from the payment of an application fee. Applicants should pay their fee through online mode. For further more details check official Eastern Railway Notification 2018. Candidates who will be selected for ER Railway Apprentice Jobs, get a good salary as per department Norms. At Starting, candidates will be paid per month stipend. You can check more details about Salary of Eastern Railway vacancy from official notification. Selection of the candidates for Eastern Railway Vacancy 2018 will be made on the basis of Merit List. To get more information read the ER Railway Notification properly, which is mention below. First of all, candidates log on to the official website rrcer.com. Now click on official ER Railway Recruitment Notification link. Now click on Apply online for Eastern Railway Vacancy. Attach all required Documents with an application form. Conclusion: Eastern Railway Recruitment Board has issued notification for 2907 ACT Apprentice Vacancies. Participants should check here eligibility criteria for Eastern Railway Recruitment 2018. For more information read the above article carefully. Dear Applicants, Now the Eastern Railway Department has released Recruitment notification of 863 Apprentice Vacancies. All the candidates who are looking for Railway Jobs, they have a great job Opportunity. You can fill prescribed application form for Eastern Railway Recruitment 2017 – 18. Closing date for submit ER Railway Vacancies on or before the last date 07.12.2017. ER Railway is inviting application form for filling up 863 Apprentice Vacancies. Candidates who are searching Eastern Railway Jobs, can fill application form here. Submission of Application Form for Eastern Railway has now started from 27.10.2017. To get more information about Eastern Railway Apprentice Vacancies like Education Qualification, Pay Scale & Selection Criteria then read the below article. Appliers, Here our team is providing full details about Eastern Railway Apprentice Jobs Eligibility Criteria. By reading the below section you can collect Education & age Criteria For ER Railway Recruitment 2017. Rest of the details is mention on official notification, you can also check it for more details. Appliers must have passed Matriculation under 10+2 system from any recognized University. Candidates should hold ITI Course Certificate in respective trade from any recognized Institute for Eastern Railway Jobs 2017. Candidates age must be in between 15 years to 24 years as on 01.07.2017. Relaxation in age for ER Railway Vacancies is applicable only for reserved category candidates s per Department rules & regulation for ER Railway Howrah Division Jobs. There is no need to pay any application fees for filling Eastern Railway Jobs Application Form. More information you can collect from official ER Railway Apprentice Jobs Notification. Selected candidates for Apprenticeship Training will paid Monthly Stipend for Eastern Railway Bharti as per Department Normalization. For More details about Pay Scale & Monthly Salary you can read the official Advertisement. Candidates will selected for Eastern Railway Recruitment 2017 – 18 on the basis of Merit List. Final selection list will prepare on the basis of Marks obtain in Matriculation & ITI. List of selected candidates will issue don official website after Recruitment process. Candidates Visit to the official website www.er.indiarailways.gov.in. Now Click on Official ER Railway Recruitment Notification. Take print out of ER Railway Apprentice Application Form. Attach all required documents with Passport size photo with application form. Now click on submit application form & send it on correct postal address. Conclusion : – Eastern Railway Recruitment 2017 – 18 For 863 Apprentice Jobs. Candidates can fill application form for Eastern Railway Jobs 2017 on or before the last date 07.12.2017. 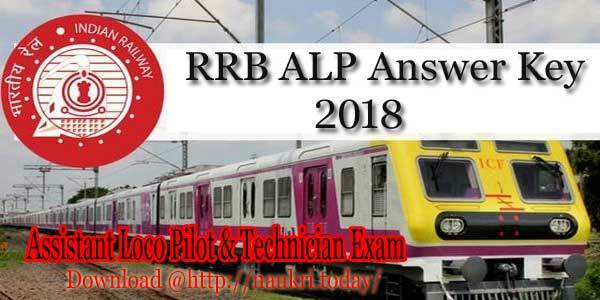 Check more details about ER Railway Jobs from here by using the above article. Eastern Railway Recruitment 2016 : Eastern Railway Recruitment Cell has published notification for 120 Goods Guard Posts. Eligible candidates can submit their application form online before 23.09.2016. Aspirants searching Jobs in Eastern Railway Department should submit their application form. Candidates can submit their application form through official website. Official Notification for Eastern Railway Recruitment is also available on its website. About Eastern Railway Department : Eastern Railway was formed in in 1952 by integration of East Indian Railway. This Eastern Railway Department is established in Kolkata. Govt. of Kolkata and Eastern Railway Department Authorities has defined the Railway Recruitment Cell for various vacancies. This time Eastern Railway giving a chance for the candidates searching Jobs in Railway Department. Eastern Railway Recruitment form can be filled for 120 goods Guard posts. Educational Qualification for Eastern Railway Jobs : Candidates who are filing application for Goods Guard Posts must possess degree from recognized university or institute. Applicants must have any two Medical qualification. Age Limit for Railway Recruitment Cell : Age Limit for Unreserved Category candidates must be between 18 to 42 years for OBC candidates 18 to 45 years and for SC/ST candidates 18 to 47 years. Pay Scale for Eastern Railway Department : Selected applicants for Railway Recruitment Goods Guard Posts will be paid 5200-20200/- + 2800/- Grade Pay in Pay Band 1. Application Fee for Railway Applicants : Eligible candidates applying for Railway Recruitment Cell should visit the official notification for complete details regarding Application for Exam. Selection Process of Eastern Railway Recruitment: Railway Recruitment cell is going to conduct Online Written Exam. That is mandatory to attend for selection in Railway Department. Qualified candidates will be called for Document verification. Aspirants must be ready with their necessary required documents. After the Verification of documents authorities will take a Medical Test. This medical Test will be organized just to check the fitness and mental ability of the candidates. Merit List will be generated by the Eastern Railway Department of qualified candidates. Aspirants who are eligible for Eastern Railway Department Jobs can submit their application form online. Eastern Railway Recruitment 2016 form can be submitted on or before 23.09.2016. Candidates may follow some steps given to Apply for Eastern Railway Vacancies. Firstly, open the official website www.er.indianrailways.gov.in or www.rrcer.com. Click in the Eastern Railway Recruitment Link given. Click on “Apply Online” to submit application form. Submit the application form after filling it. Eastern Railway Recruitment 2016 | Railway Recruitment Cell Exam : Railway Recruitment Cell has released notification for 120 Goods Guard Posts. Interested candidates can apply online for Eastern Railway Recruitment 2016. Last Date to Submit application on or before 23.09.2016.